for different wrongdoings in the state. 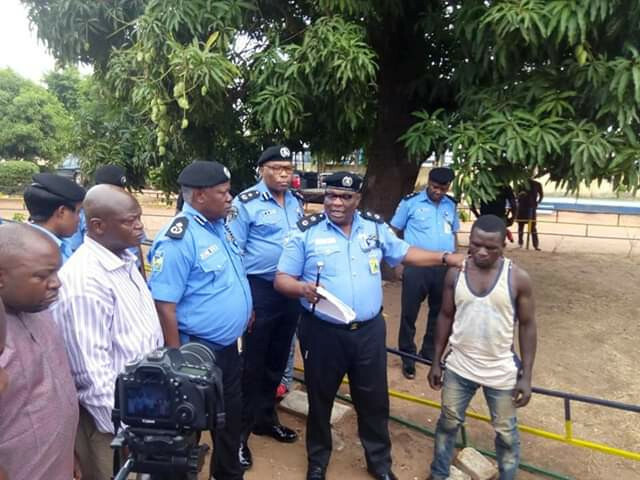 Instructions newsmen at the Command Headquarters in Makurdi, the Comissioner of Police, CP Omololu Bishi, said two of the suspects admitted to killing a young fellow for ritual reason. According to the CP, the father of the victim, Mr. Iorumbur Amanger of Tombo-Mbaya Buruku Local Government Area wrote a petition to the Command stating that Hyginus Lubem Mbachi of the same address defrauded him of the sum of Two Hundred and Nine Thousand; One Hundred and Fifty Naira (#209, 150) only being fee for the admission of his son Afa Amanger into a University in Cameroon. The said suspect left his house with his son to Cameroon and since then he could not communicate with his son. "During investigation Hyginus Lubem Mbachii and one Gambo Bulus alias Murphy of Akwanga, Nasarawa State were arrested at Lafia, Nasarawa State on 22/02/2019 in connection with the case. The suspects confessed to have killed Afa Amanger since 05/01/2019 for ritual purpose and has been collecting money from the complainant for his own personal use"
Corpse of the deceased has been recovered from the Hospital where the suspects earlier abandoned the victim and ran away. The suspect will soon be arraign in Court.